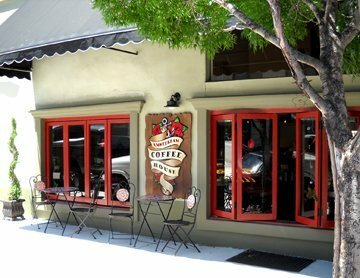 A couple days ago, I was sitting in the Amsterdam Coffee House on 13th Street in Paso Robles, California, admiring the red and black decor and staring at the tourists and residents who were getting coffee on a hot Saturday morning. I was also writing in my journal. Or, more to the point, attempting to. I hadn't been writing in my journal much in a long while, and when you get out of the habit, suddenly it is hard. But I'd been having the feeling that it was important for me to get back to it for a long time, too. Only write, is what I finally scribbled in my journal that morning. Because right now, I only want to write. I want to only write. I feel this desire so strongly now because I haven't been writing. I've been planning weddings and performing them. I've been working on yet another rewrite of my novel (rewriting of this sort being quite a bit different than writing writing, if you know what I mean), I've been organizing an upcoming event for the Writer's Loft, (which you should attend if you are anywhere near the Middle Tennessee area) and I've been hosting friends and family from afar. All wonderfully enjoyable activities, but none of it was the kind of writing I have in mind. And because of this, I've been feeling restless of late. It took getting away from everything to diagnose the problem. On Thursday, my friend Suzanne and I drove up to Paso Robles from Pasadena, where I've been staying with her while I recover from my summer. We went specifically to taste wines, because every time we find a fabulous wine that we love, it is from this area. And we weren't disapointed. On Thursday evening we visited the Ortman wine tasting room in downtown Paso Robles. And on Friday we visited Justin, J. Lohr, Le Vigne, and Rodney Hall. (This would be why I didn't write a blog post on Friday. You would not have wanted to read what I wrote, because it would not have made sense.) That night we ate dinner at the 10th Street Basque Cafe and met wonderful new friends from the area. Saturday morning we went to the coffee shop, strolled through the Olive Festival, and drove back to Pasadena, in stop and go traffic all the way from Santa Barbara on. Ah, LA traffic, you gotta love it. And Sunday morning, my brain exploded with ideas when I picked up my journal. And here's what, specifically, exploded in my brain: I realized that I need to go back to the basics. Since I myself have been distracted from writing by little things like making money (which for me also comes from writing but again, its a different kind of writing), and since I desperately want to get back to my writing, it is time to go back to the foundational basics. And what better basics to go back to than the very ones that I myself teach? Duh. And so that is what I am going to do. As some of you know, quite some time ago I developed a system called Writing Abundance: The Seven Practices of the Prolific and Prosperous Writer. What the system teaches is foundational principles of writing. 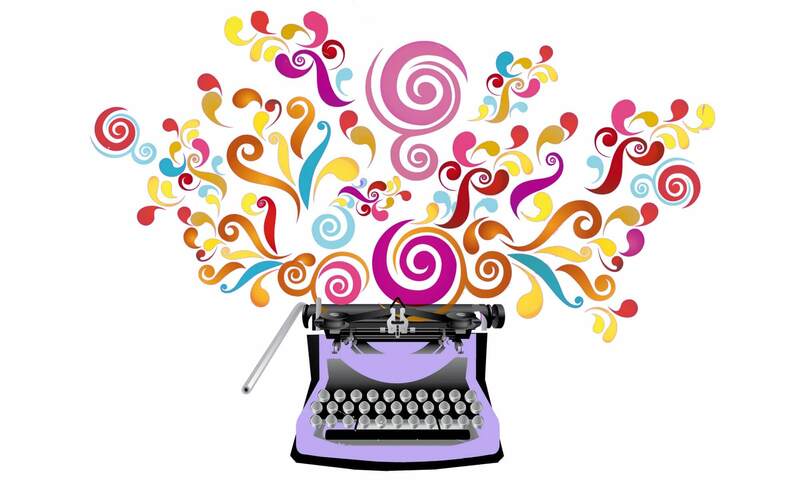 The basic practices that get and keep you writing. You know, the exact practices I need to remind myself of now. And, as some of you also know, I've been threatening attempting to write an information product around this system for quite some time now. I've finally figured out what form I want it to be, which is a program featuring daily email lessons and a weekly teleclass. I have almost all of the information put together. But I don't have it all quite organized yet. Enter brilliance. (I'm sure it came from all that wine. I read a sign on the wall of a cafe up there that said, in wine there is truth. It's my new motto.) 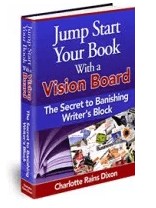 Brilliance says that what I need to do is clear–get the book organized through blog posts. So here's my plan: besides my Monday, Wednesday and Friday posts, I'm going to post the material for the program on Tuesdays and Thursdays. (Since that is a tall order, I reserve the right to sometimes only do Tuesday. Or Thursday. We'll see how this goes.) I'll keep an ongoing list of the posts on the sidebar for easy access. And I'll keep them all up until I get the thing finished, at which time they will all come down and become a paid product. But up until then, it will all be free and you can do with it what you want–print it out, use it for yourself, use it for your students (please credit me), whatever. Just don't claim it as your own or try to sell it or I will get very cranky. And you don't want to see me cranky. Ask certain people in my family who have to face me in that state every morning before coffee. I think it is going to be a seven-week program, with five emails per week. I think. But I need to find out, which is why I need to get this thing going. So here is the question of the day: which name do you like better, Writing Abundance, or Only Write? Please vote in the comment section. I'm leaning towards Only Write, because I've never really liked Writing Abundance. But tell me your opinion, without letting mine color it. And tune in tomorrow for the first installment. 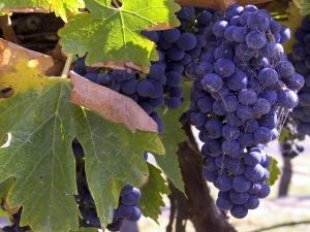 **I found the photo of the Amsterdam on Yelp, my new favorite site, and the grapes from Everystockphoto, because, of course, did I remember to take pictures? Of course not. Yeah, Just Write is bad, and besides, somebody else already uses it. Only Write might not be the best, but it carries with it the energy of inspiration, which I like. I totally agree with you about Writing Abundance. I’ll keep thinking. If you come up with anything, let me know. And thanks for always being an interesting commenter. I generally like the illegal things quite a bit…and I thoroughly enjoyed your treatise on words. Maybe it will indeed help me come up with a title. Hey Karen, Good to hear from you, I miss you! And thank you for giving me some key words, so to speak, to help my thought process! How about the Real Writing Deal? Nah…but something catchy evoking that spirit would be great.